So excited to bring you this episode! This is Part 2 of a Round Table I recorded with Drew Baye, Ryan Hall and Skyler Tanner. If you haven’t listened to Part 1 of this Round Table yet, check it out by clicking here! 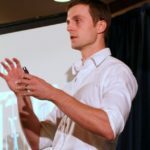 Drew Baye is one of the world’s top high-intensity training experts and is one of the best trainers around, and he runs the #1 HIT blog Baye.com. 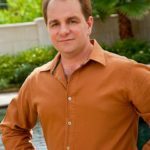 Exercise Science LLC‘s Ryan Hall is an award-winning exercise physiologist and is one of only a handful of the world’s Certified Master SuperSlow Trainers. Smart Strength‘s Skyler Tanner is an exercise physiologist, an analytics professional, a lecturer, and a well-regarded, experienced fitness and nutrition coach. Want to hear more from these HIT experts? Download as an MP3 by right-clicking here and choosing “save as”. This episode is brought to you by ARXFit.com, ARX are the most innovative, efficient and effective all-in-one exercise machines I have ever seen. I was really impressed with my ARX workout. The intensity and adaptive resistance were unlike anything I’ve ever experienced. I love how the machine enables you to increase the negative load to fatigue target muscles more quickly and I love how the workouts are effortlessly quantified. The software tracks maximum force output, rate of work, total amount of work done and more in front of you on-screen, allowing you to compete with your pervious performance, to give you and your clients real-time motivation. As well as being utilised by many HIT trainers to deliver highly effective and efficient workouts to their clients, ARX comes highly recommended by world-class trainers and brands including Bulletproof, Tony Robbins, and Ben Greenfield Fitness. To find out more about ARX and get $1,000 OFF software licensing fees, please go to ARXfit.com and mention Corporate Warrior in the how did you hear about us field. 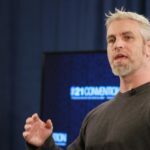 This episode is brought to you by Hituni.com, providers of the best online courses in high intensity training that come highly recommended by Dr. Doug McGuff and Discover Strength CEO, Luke Carlson. Course contributors include world-class exercise experts like Drew Baye, Ellington Darden and Skyler Tanner. There are courses for both trainers and trainees. So even if you’re not a trainer but someone who practices HIT, this course can help you figure out how to improve your progress and get best results. Check out Hituni.com, add the course you want to your shopping cart and enter the coupon code ‘CW10’ to get 10% off your purchase! Question of the Day: What exercise or training advice have you been given before that you now know turns out to be quite wrong? Please let me and other guests know in the comments at the bottom of this post. Study: High-intensity strength training in nonagenarians. Effects on skeletal muscle. Study: Can resistance training impact MRI outcomes in relapsing-remitting multiple sclerosis? How Fast Should You Lift to Maximize Muscle Growth? Apologies to Drew at 38:35 it sounds like I talk over you (you can’t blame me though right? 😉 lol) , but I think this is a minor audio editing error. Brilliant, Thanks again for asking so many of my questions. 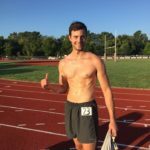 Ryan – Is the genetic testing / analysis for exercise type available now? Will DNAFit provide it or do I need to wait for you to collaborate with them? Thank you! David, you don’t need to wait for me. You can go straight to the DNAFit website and order your analysis kit. I believe they have three test, a basic fitness, a comprehensive fitness, and a nutrition test. If you have the money, I would suggest doing both the comprehensive fitness test and the nutrition test. When you get your results, I can help analyze them. Sorry Ryan, one follow-up question here. Is it sufficient to have 23andme data? Do I need to also purchase the DNAFit analysis? Do I need to have data taken from DNAFit themselves? Thank you! my name is Gordon Möller and I am an beginner at HIT, just doing it for about 2 month. In the studio I am going to there are gym80 machines an d in the other big studios they have HammerStrenght machines. Since I heard in on episode in the podcast, that most people can’t determine the quality of the machines they are using, me included, I would like to know how to determine which machines are good or better than the other. For example, I have the feeling that the lat machine has grips, that are to wide apart. What do think of handles which do rotate? This depends on whether you want to perform close underhand-grip pulldowns (like a chin-up) or a wide overhand or neutral grip pulldown (like a pull-up). For the latter the handles should only be so far apart that your hands are positioned a little wider than your shoulders. Gordon, it is difficult to determine the quality of equipment without a decent knowledge of biomechanics. You may want to purchase one of Bill Desimone’s books on biomechanics. Otherwise, I visited gym80’s website. They have several lines of equipment. I can’t give you my complete opinion without having used them myself. Just perusing the site, there are a few machines with questionable design elements. Having said that, use whatever tools you have available to the best of your abilities. I have no doubt you can effectively create a growth stimulus using the machines. And not in all the years did any of them train add any muscle, ho but they lost bodyfat and muscle. They have the 16 year old beachboy look, not muscle and low fat. Why waste more time doing this, and waste other people’s time.